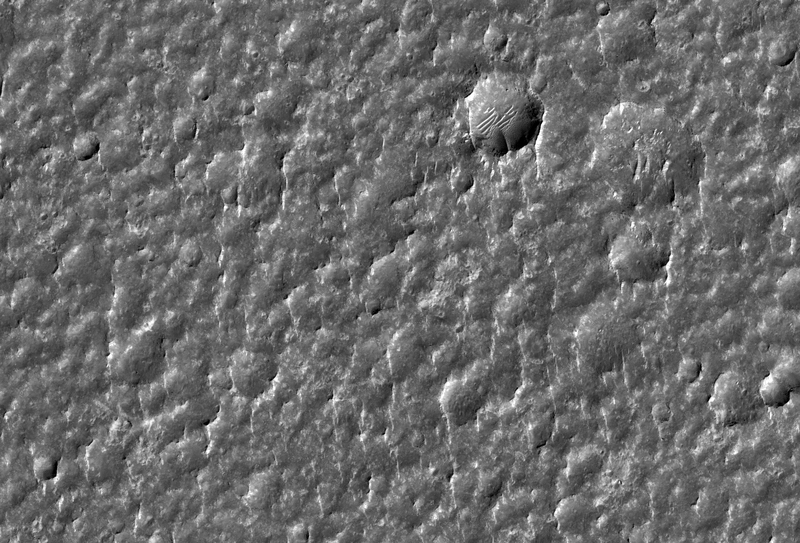 Today's Image of Mars shows a potential landing site for future missions to Mars west of Aeolis Planum, as imaged by HiRISE. Within this potential site we see numerous ridges with a general North-South orientation, which measure about 10 meters wide and 100 meters long. These ridges appear to have formed from wind, which suggests that the soil is made of fine grained sand and rocks, easily moved and oriented by the wind. The crater that you see on the right of this image has been filled by soil, as have many other smaller crater you can see in different subimages. This implies that the bedrock underlying the top layer of windblown soil may be easily eroded. This could be the mos likely reason why there is so much sand able to form the ridges described above. 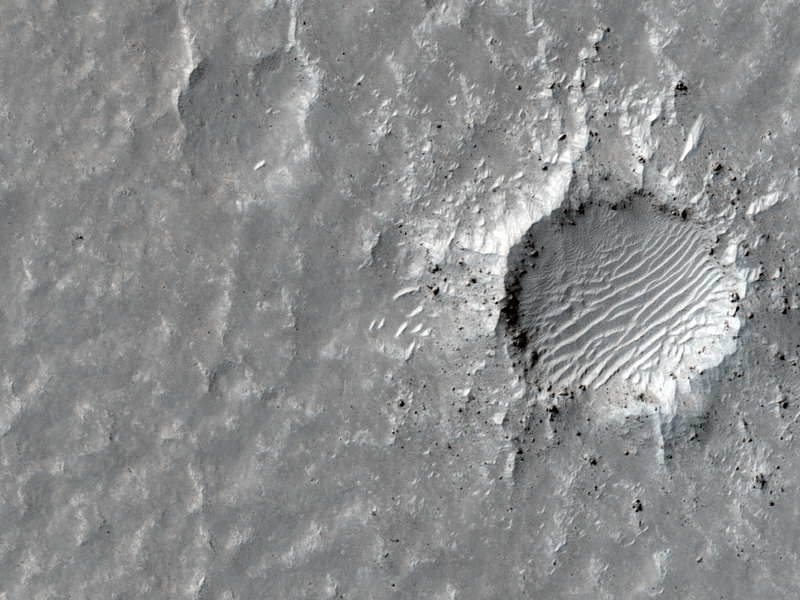 Clicking on this image will take you to the original high resolution image form HiRISE.